InfiNet Wireless has recently announced the introduction of Quanta 5, the company’s brand new 5 GHz Point-to-Point (PTP) solution, designed on InfiNet’s latest Software Defined Radio (SDR) technology. 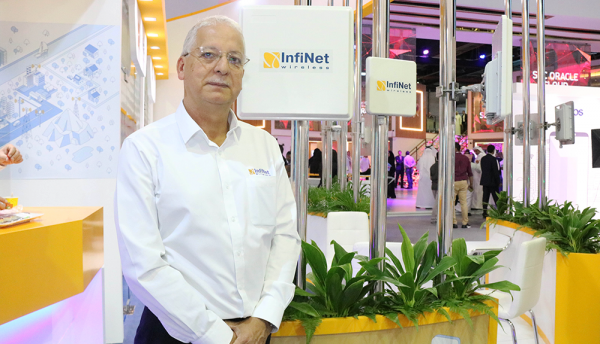 Kamal Mokrani, Global Vice President at InfiNet Wireless, said: “Based on valuable feedback gained from customers across the globe, including several here in the Middle East, we identified a niche for a cost-effective and high-capacity point-to-point solution to operate in license-exempt frequency bands. “Driven by a significant market demand for Big Data connectivity from various sectors of the industry, and leveraging our advanced SDR wireless breakthroughs, we are now able to deliver a range of carrier grade and even easier to deploy and install solutions, like the Quanta 5, which can meet and exceed expectations on bandwidth demands, reliability and interference mitigation in unlicensed bands. This is only one of the strategic steps we have taken to better cater for the 5G revolution. “Solutions like the Quanta 5 deliver even higher performance than our previous platforms, making it ideal for any service provider considering the launch of new generation infrastructures aimed at catering to current and future 5G and IoT requirements. “We designed this solution as an all-in-one package to enable operators of all sizes to quickly deliver high-capacity premium services to their corporate clients, to interconnect their network nodes wherever they are located, or simply to provide Internet connectivity to end-users. Mokrani added: “Whether it is 5G, AI or blockchain, the Middle East, continues to be an early adopter of innovative technology. Coupled with our firm intention of always pushing the traditional boundaries of wireless technology, this makes the Middle East a strategic market for us and central to our growth plans. Intelligent CIO met with Mokrani to find out more about the company’s activities. Can you tell me about the Spectral Efficient solution? Now what we are doing is launching a brand-new platform based on what we call SDR (Software Defined Radio). The reason we are doing this is to cater for new applications that I believe will be coming out in the future – part of the 5G/IoT ecosystem. 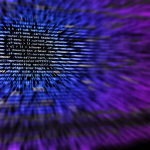 We expect, as does everybody else, an explosion in terms of the number of devices that need to be connected to the network, whatever type of network that is. 99% of them will be mobile devices whether it’s a mobile phone, i-Pads, moving vehicles, drones or whatever. Wireless definitely is the future so what we are doing is developing new solutions that will provide 10 times more capacity than what we have today, in even less spectrum in terms of radio frequencies. We expect radio frequencies to be further re-farmed. This is happening pretty much across many different countries around the world. So we are developing new products to deliver more capacity in less spectrum and more importantly at a lower cost as well. So this is the driving factor behind everything we do, including the Quanta 5. So this is a very definite step towards 5G? A hundred percent that’s the driving factor. Let’s say if we have 1000 applications you and I use every day, there will be probably 10,000 additional applications in three to five years’ time. We are building the platforms which will cater for those applications coming in the future. How ready is the Middle East for 5G? It’s difficult to generalise for the whole Middle East. For me, it’s a big and diverse region, and each country is at a different stage. Take Dubai, for example, which is at the forefront. It is the smartest city in the world. But you take other markets like Jordan, Egypt or Oman, and you will quickly notice that they are maybe a step or two behind. So each country is at a different state but as a region I think end users and service providers are much more receptive to new ideas and new technologies. It depends on the countries, but definitely some of them are even more advanced than some European countries or the U.S.
Do you operate in Kuwait? Yes, we do. Kuwait is a very small market geographically but it’s a big one for us in terms of value. We provide various wireless solutions through a subsidiary of Zain, achieving around 95% coverage of the country. We deployed a wide area network, allowing Zain’s sales to go and offer their various broadband services, whether it’s a VPN, voice, Internet or video surveillance, all of which can be catered for through our networks. What is the best way for Internet access to remote locations to be achieved? In terms of remote locations this is really where wireless comes in. I would say maybe 25% to 30% of our deployments around the world are in difficult terrains. But a difficult terrain can also be in Abu Dhabi or in Dubai? Why? Because of the buildings and obstructions. For us, a tree is easier to penetrate with our wireless transmissions than a building. We have a number of products specifically designed to connect remote areas over long distances, up to 100 kilometres. Running a fibre, or deploying a satellite-based connectivity, can be way too expensive. And you don’t have to pay the earth to connect up a remote farm or a village back to the nearest point of presence. It can be done very cost effectively, giving the remote users access to the Internet with speeds of up to one gigabit per second with a new solution we have launched very recently. We thrive in remote areas and that’s really where wireless communications really is at its best. Are there any particular challenges with coverage in a desert? Yes. In general, you have sand storms that can affect the radio signals themselves. You have dunes moving. Today, you may have a clear line of sight but tomorrow a dune emerges and you lose connectivity. Most importantly, and this is where we have robust solutions, are the temperature ranges. We design everything to operate perfectly in plus 60 degrees. The way we do this is by carefully sealing our units. Nothing is shipped out of the factory without almost a perfect vacuum so that the outside temperature does not affect the components inside. The hottest temperature we have recorded was in Saudi Arabia where it was about 57 degrees and our units were still working perfectly. There are a number of low-cost solutions housed in plastic casing. That is definitely a no- no for this part of the world. They might, however, meet expectations and work adequately in milder climates in southern Europe. There’s a rating called IP, which stands for Ingress Protection. That basically gives you a good indication of what environment or climatic conditions your product can withstand. We are on IP 67 which is the highest standard. We go the extra mile and also provide explosion proof enclosures because we work in the oil and gas sectors in various countries of the region. So you have the hazardous environment, you have the high temperatures to take into account, among other things, and this is where InfiNet, in terms of carrier grade, in terms of robust solutions, really comes in super handy compared to what are known as low cost products.